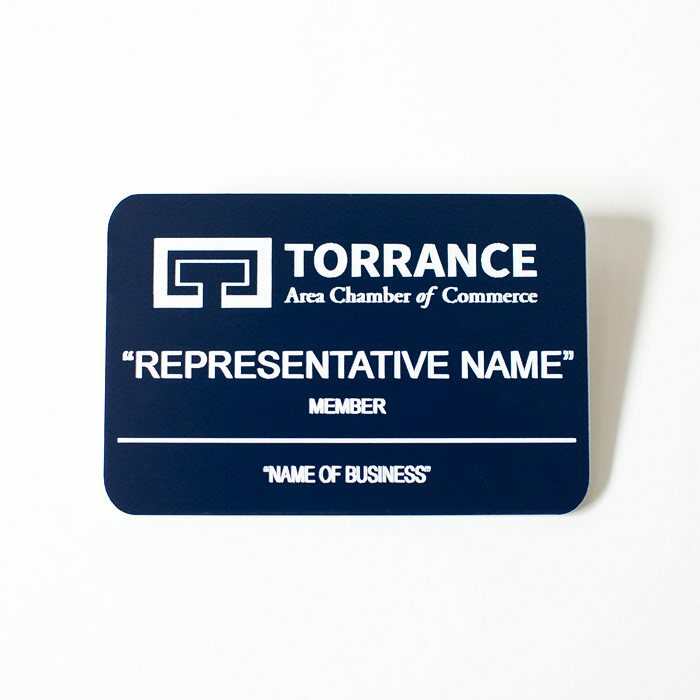 Stand out from the crowd at events and identify yourself as a Torrance Area Chamber member. This wearable magnetic badge includes your name, company name, and the Chamber logo. After placing your order, Chamber staff will contact you for badge information.